Just imagine the future where robots are so strong and intelligent that they can control the world and human weapons have reached a new level of development. With this addon, you will feel how much robotic creatures are stronger than you, and you will get an advanced laser blaster with a modern sight, shooting laser beams. Evil Future addon has about 5 new mobs submitted as robots. They have some similarities with vanilla creatures and you can immediately determine who is who. As for the parameters and behavior, each new creature has increased health and damage, and virtually all of them are aggressive except for the horse. 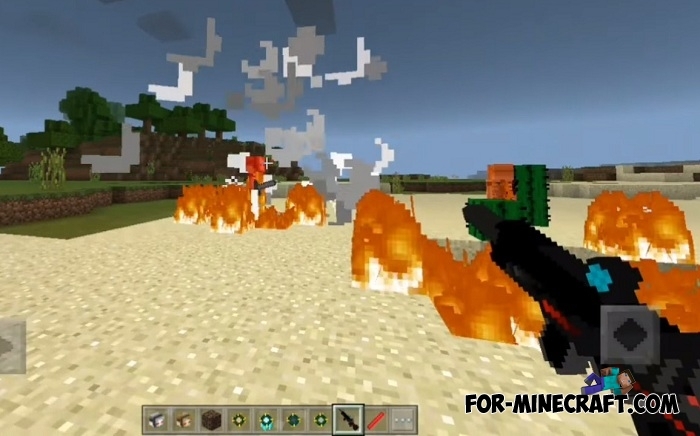 Being a fan of laser weapons you can pay attention to one of the best modifications adding laser weapons and ammo to Minecraft Pocket Edition - Laser Guns mod. How to install the Evil Future addon? 1. Open the downloaded file (.mcaddon). 2. Activate the addon in the game settings if it did not happen automatically. 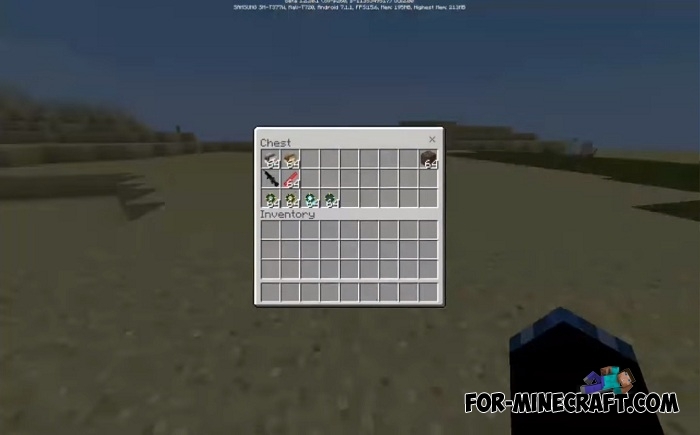 Master Guns mod for MCBE 1.2Master Guns is a modification that brings more than 50 different weapons in Minecraft Bedrock ranging from mines and grenades to bazookas and machine guns.